BSD (Berkeley Software Distribution) derived systems are notable software achievement from the 20th century, and continue to play an important role in the 21st century. Products derived from BSD are everywhere, from cellphones to core network routers, from game consoles to the busiest websites, from small embedded to critical storage systems. Everyone benefits from BSD derived systems in their everyday life. In 2004, the first AsiaBSDCon was held in Taiwan, with subsequent AsiaBSD conferences being held in Japan. For 2017, we decided to have a BSD conference, from Saturday 11 November to Sunday 12 November in Taipei, Taiwan. BSDTW 2017 is planned as a single track, 2 days conference with 11 presentations of 50 minutes each covering the latest BSD technology. The conference will attract over 100 highly skilled engineering professionals, software developers, computer science professors, users and students from all over Asia as well as other parts of the world. The goal of BSDTW is to exchange knowledge about the BSD operating systems, facilitate coordination and cooperation among users and developers and to promote business friendly BSD licensed open source software. Taiwan has a long history with BSD systems, many of the top websites in Taiwan are using FreeBSD as their main server OS, also, OpenBSD and NetBSD are used in many products from local companies. In education networks, FreeBSD is usually the first choice for the server OS because of its stability and performance. There are more than a dozen FreeBSD developers and many BSD users in Taiwan, but they tend to be silent in the past few years, because of there is no event and they are busy at their positions. We believe BSDTW will draw in both old friends who are now serving important roles in companies or academia. By participating in BSDTW you can promote your company to decision makers, attract mind share, scout for highly skilled future employees or simply return something to the ecosystem if you are already using a BSD operating systems in your business or products. Is it time to replace mmap? A history of virtual address space management with an eye toward the future. High Performance Computing and GPU acceleration: Where Do We Stand? Or how to write device driver for FreeBSD? Arun is a Senior Principal Research Engineer at BAE Systems. 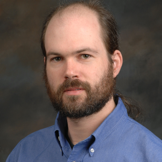 He is currently leading a research collaboration with the University of Cambridge and Memorial University to create a new distributed security tracing framework building on FreeBSD, DTrace, and clang/LLVM. He is also working to build out the RISC-V software ecosystem. He chairs the RISC-V Foundation Software Working Group and the RISC-V Foundation Open Source/University Outreach Working Group. 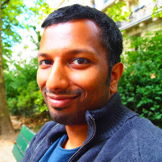 He has given talks about open-source operating systems/hardware at ARM TechCon, the Embedded Systems Conference, BSDCan, EuroBSDCon, FOSDEM, and the RISC-V Workshop. George likes to say that he, "Works on networking and operating system code for fun and profit." 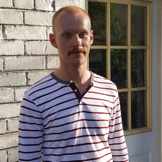 Writing machine code, building hardware and teaching computing since his teens, his first profit making programming gig was hacking DBase III code for an insurance company while still in High School. He published his first piece of commercial software, an audio digitizer for the then popular Amiga computer, while still in college. He is the author of two leading books on operating systems, the latest co-authored with Marshall Kirk McKusick and Robert N. M. Watson of The Design and implementation of the FreeBSD Operating System 2nd Ed. Standing firmly at the intersection of industry and academia and due to his top ranking as software development, George has worked on research projects with the University of Cambridge as well as the University of Twente in the Netherlands. He has spent many years producing commercial software for companies such as Wind River Systems, who, along with NASA, put a bit of his code on Mars with the Pathfinder probe. For over ten years he has been the columnist better known as Kode Vicious, producing the most widely read column in both of ACM's premier flagship magazines, "Queue" and "Communications of the ACM". 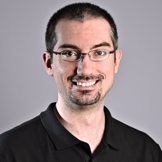 More recently he was tapped to chair the ACM Practitioner Board, which is dedicated to bridging the gap between research and industry, where he helped create the ACM Applicative conference. He is an avid bicyclist and traveler who speaks several languages including Japanese, and Dutch as well as English, and has lived and worked in Amsterdam and Tokyo. He currently lives in Brooklyn, New York. Peter started his career working on DEC Ultrix, and has been a FreeBSD committer since 2003, working initially on the PowerPC port and nowadays on the bhyve hypervisor. I began studying Chemistry because of the excitement of lab work, and realized that computers are actually more fun. Logically, I ended up doing theoretical/computational research. I started with FreeBSD at the 6.1 release. Since then, I have (co)-developed computational chemistry codes for global optimization, orbital-free density functional theory, and ab initio quantum chemistry. All of them - except for an Android app - run on FreeBSD. My day job is research group manager, and during my free time, I work on parts of the ports system that matter to me (GPU acceleration, numerical libraries, computational chemistry apps). Whatever little time is left I spent either hiking or driving muscle cars. Allan Jude is VP of operations at ScaleEngine Inc., a global HTTP and Video Streaming Content Distribution Network, where he makes extensive use of ZFS on FreeBSD. He is also the host of the weekly video podcast "BSDNow.tv" (with Benedict Reuschling). 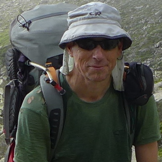 Allan is a FreeBSD src & doc committer and was elected to the FreeBSD Core Team for a two year term in July of 2016. Allan has co-authored two books on ZFS with Michael W. Lucas: "FreeBSD Mastery: ZFS" and "FreeBSD Mastery: Advanced ZFS". 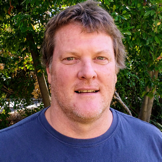 Allan is a frequent contributor to the FreeBSD Journal, and has presented numerous talks on ZFS and related FreeBSD technologies as conferences world wide. As a student Theo had access to the SunOS 4.0 source code,found critical security holes in DNS software, ported Minix and BSD2.11 to the Sun3/50 and then co-founded NetBSD and then OpenBSD. He stood ground against Tatu by commiting revision 1.1 of OpenSSH, and pushed the team to begin work on the pf packet filter. In the recent two decades, his focus has been on incorporating security concepts into OpenBSD and the greater software ecosystem. He lives in Calgary, Canada in a 100-year old house above a small datacenter, surrounded by his wife's flower jungle with two cats and too many bird feeders. 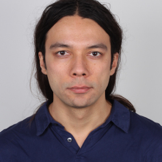 Ruslan Bukin is Research Associate at University of Cambridge Computer Laboratory. He has been a FreeBSD user since 2002 and src committer since 2013. His main interests and contributions to FreeBSD are related to computer architectures support, performance monitoring technologies support, hardware tracing technologies (Intel® PT), device drivers, DMA engines and DMA frameworks, hardware security (Intel® SGX, CHERI), heterogenous computing. Ruslan is the leading developer of FreeBSD/RISC-V project. Ruslan obtained a Computer Science degree in 2008 from Peoples' Friendship University of Russia in Moscow. His hobby is PCB design. Mariusz Zaborski is a software developer at Wheel Systems. 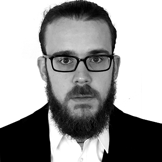 Mariusz's main ares of interest are OS security and low-level programming. At Wheel Systems, Mariusz is developing a solution to monitor, record and control traffic in an IT infrastructure. He has been involved in the development of Capsicum and Casper since Google Summer of Code 2013, which he successfully passed under the mentorship of Pawel Jakub Dawidek. Mariusz has been a FreeBSD project commiter since 2015. Mark has been a FreeBSD user since 8.0 and a committer since 2012. He enjoys squashing bugs and contributing generally to the stability of FreeBSD, and is interested in improving debugging tools, especially DTrace. Of late, Mark has also been working on the memory management subsystem of FreeBSD, and on graphics drivers. During the day, Mark works on the OS team at Dell EMC Isilon. He lives in Toronto, Canada. George likes to say that he, "Works on networking and operating system code for fun and profit." Writing machine code, building hardware and teaching computing since his teens, his first profit making programming gig was hacking DBase III code for an insurance company while still in High School. He published his first piece of commercial software, an audio digitizer for the then popular Amiga computer, while still in college. He is the author of two leading books on operating systems, the latest co-authored with Marshall Kirk McKusick and Robert N. M. Watson of The Design and implementation of the FreeBSD Operating System 2nd Ed. 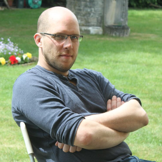 Standing firmly at the intersection of industry and academia and due to his top ranking as software development, George has worked on research projects with the University of Cambridge as well as the University of Twente in the Netherlands. He has spent many years producing commercial software for companies such as Wind River Systems, who, along with NASA, put a bit of his code on Mars with the Pathfinder probe. For over ten years he has been the columnist better known as Kode Vicious, producing the most widely read column in both of ACM's premier flagship magazines, "Queue" and "Communications of the ACM". 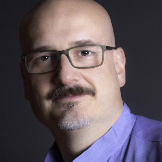 More recently he was tapped to chair the ACM Practitioner Board, which is dedicated to bridging the gap between research and industry, where he helped create the ACM Applicative conference. He is an avid bicyclist and traveler who speaks several languages including Japanese, and Dutch as well as English, and has lived and worked in Amsterdam and Tokyo. He currently lives in Brooklyn, New York. 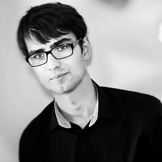 Ruslan Bukin is Research Associate at University of Cambridge Computer Laboratory. He has been a FreeBSD user since 2002 and src committer since 2013. His main interests and contributions to FreeBSD are related to computer architectures support, performance monitoring technologies support, hardware tracing technologies (Intel® PT), device drivers, DMA engines and DMA frameworks, hardware security (Intel® SGX, CHERI), heterogenous computing. Ruslan is the leading developer of FreeBSD/RISC-V project. Ruslan obtained a Computer Science degree in 2008 from Peoples' Friendship University of Russia in Moscow. His hobby is PCB design. Mariusz Zaborski is a software developer at Wheel Systems. Mariusz's main ares of interest are OS security and low-level programming. At Wheel Systems, Mariusz is developing a solution to monitor, record and control traffic in an IT infrastructure. He has been involved in the development of Capsicum and Casper since Google Summer of Code 2013, which he successfully passed under the mentorship of Pawel Jakub Dawidek. Mark has been a FreeBSD user since 8.0 and a committer since 2012. He enjoys squashing bugs and contributing generally to the stability of FreeBSD, and is interested in improving debugging tools, especially DTrace. Of late, Mark has also been working on the memory management subsystem of FreeBSD, and on graphics drivers. During the day, Mark works on the OS team at Dell EMC Isilon. He lives in Toronto, Canada. From Taoyuan(TPE): Take Taoyuan Airport MRT to Taipei Main station, and transfer to Tamsui Line(R Line). Then get off at Fuxinggang Station(R23). Go to 2F of the MRT station and use the No. 2 "Beitou Depot" exit. Find your name in guest list and sign in for gate controland. Cross the footbridge then follow the signs for "Beitou Resort". If your drive, please change Identity documents in the main gate of Beitou Resort, and pay parking fee in convenience store before you leave, it costs NT$40 per car. If you do not get to Fuxinggang Station by MRT, tell the station staff at Exit 1 that you’re the guest of Beitou Resort and you will have the pink temporary access card to enter Exit 1, then go through the station, hand in it and pass Exit 2. It's 1 min to reach MRT Fuxingang station Exit 1, 10 mins walking time to Beitou Resort. You can pass Fuxingang station (from exit 1 to exit 2) with temporary access card by telling MRT staff you are going to Beitou Resort. Please visit KKTIX to make a registration to get event order number. Download HUASHE HOTEL BEITOU BRANCH Reservation Application document and fill in Booking information. 1. With staffs: gather at 17:00 right at conference venue, and staffs will guide you to the banquet venue, and (maybe) introduce the Tamsui’s street and historical spots. 。Take MRT R-line, and go to Tamsui Station. (5 stations far). Take bus “857” or “R26” to “Fort San Domingo” stop. The FreeBSD Foundation is a 501(c)(3), US based, non-profit organization dedicated to supporting and promoting the FreeBSD Project and community worldwide. Funding comes from individual and corporate donations and is used to fund and manage projects, fund conferences and developer summits, and provide travel grants to FreeBSD developers. The Foundation purchases hardware to improve and maintain FreeBSD infrastructure and publishes FreeBSD white papers and marketing material to promote, educate, and advocate for the FreeBSD Project. The Foundation also represents the FreeBSD Project in executing contracts, license agreements, and other legal arrangements that require a recognized legal entity. We founded Gamesofa in 2005. By utilizing the best emerging web technologies, we have been able to establish ourselves firmly in the gaming market, having since developed 20 franchises across multiple platforms including web, Android, and iOS. These games have cemented Gamesofa's reputation as one of Taiwan's leading game development companies. Our motto: "Fun in Five Minutes" reflects our company's core philosophy of providing a fun yet casual multiplayer experience. With "Godgame Mahjong," Gamesofa created Taiwan's largest online Mahjong game. Our success was soon followed by the world's first browser-based 3D shooter, "Guns Rush." More recently, Gamesofa has gone international, breaking into markets into Indonesia, Thailand, and Vietnam with localized Texas Hold'em apps, in India with "Bollywood Teen Patti," and in Russia with our 3D tank warfare game, "Tank Hit." Overall, Gamesofa boasts a user base of 50 million registered players worldwide and over 2 million daily active users. At Gamesofa, we pursue innovation at every level of game development, and we are adept at using advanced data analysis to drive our operational decisions. Through data analytics and predictive modeling, we can quickly visualize our products' performance and formulate powerful strategies to achieve the most optimal outcome in game development, operations, and marketing. Although Gamesofa is a young company, we have proven ourselves as effective, passionate, and capable of success in the ever-evolving world of gaming. Oath, a subsidiary of Verizon, is a values-led company committed to building brands people love. We reach over one billion people around the world with a dynamic house of 50+ media and technology brands including Yahoo. A global leader in digital and mobile, Oath is shaping the future of media. In Taiwan, we keep offering services under the name Yahoo Kimo and today own a number of properties including Yahoo TV, News, Mail, Search, Auction, Store, Shopping, Finance, Movies, Sports and Entertainment. Yahoo Kimo also provides a comprehensive suite of e-commerce services. For more information, visit the company’s corporate blog (http://ycorpblog.tumblr.com/). Ubiquiti Networks is founded in 2005 by young entrepreneur Robert Pera in Silicon Valley. The company's business is mainly focusing on the development in the area of wireless communication product and networking gear in order to provide advanced networking solution for enterprise-level and ISP customers. The products portfolio covers switch, router, wireless AP, VOIP, surveillance system etc. Ubiquiti Networks has been very successful with its unique company culture and business model. In Pera's view, he strongly believes that without extra cost in marketing and sales, building a solid engineering team is the most important thing to deliver projects rapidly to increase the revenue growth and profit of the company. Based on this model, besides hands-on expertise, engineers are also encouraged to interact with end-user and customer directly to understand their needs spontaneously and make them outstanding satisfaction. Our goal of products consists of not only the necessary functionality but also the world-class quality and overall user experience. Ubiquiti Networks is growing rapidly and expanding over the world, and we welcome you to join us for our continuous success. With headquarters in the heart of Silicon Valley since its founding in 1996, iXsystems leads the industry, building innovative storage solutions and superior enterprise servers for a global marketplace relying on open technologies. Its decades of hardware design experience and expertise, commitment to the Open Source software community, and stewardship of many leading Open Source Projects, including FreeBSD, FreeNAS, and TrueOS, are the reasons why thousands of companies, universities, and government organizations rely on iXsystems' storage, servers, and consultative approach to doing business. We're focus on building eCommerce solution. To help merchant build their business easily. And communicate with EC platform company to open API for building the good solutions. Gandi is an innovative domain name registrar and DNS provider for over 700 extensions (such as .COM, .TW, .IO, .SHOP ...). The company now manages over 2 million domain names for its customers, which range from small startup companies to known brands and large organizations. We also actively support Open Source projects such as FreeBSD, Gnome, Debian, Ubuntu, Let's Encrypt, etc.). ScaleEngine is a global Video Streaming CDN specializing in live stream transcoding, Video-on-Demand, and Pay-Per-View. The Open Culture Foundation (OCF), is a nonpartisan, nonprofit organization, founded in 2014 by several members of Taiwan's open source community. Our main goal is to support local communities advocate the use of open technologies in broader sectors, including open source software, open hardware, and open data. We help government, enterprises, and NGOs better understand the benefits of adopting open source,and promote the importance of open data to the public sphere. We believe that a culture of open collaboration is the foundation for an innovative society, and the engine of a participatory democracy. Skymizer Taiwan Inc. is a software optimization and performance solution provider. We believe humans' desire for speed can never be limited. Unfortunately, the development of performance improvement does. In the age of the fading of Moore's Law, we aim unleashing the potential of optimization of embedded development tools and extracting the performance of all cloud infrastructures. We specialized in profiling and compilation technology. We trace and identify the bottleneck of your software performance and deliver solutions, such as compilation cloud and optimized operating system, to your x86 and ARM based products. 5 times professionalism. 5 times wishes. 5 times Ruby. We are a group of Ruby lovers and aims for promoting Ruby programming language in Taiwan through education and consulting services. 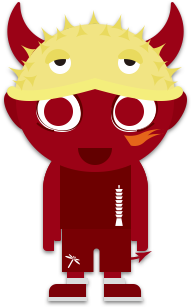 The FreeBSD Foundation is a 501(c)(3), US based, non-profit organization dedicated to supporting and promoting the FreeBSD Project and community worldwide. Funding comes from individual and corporate donations and is used to fund and manage projects, fund conferences and developer summits, and provide travel grants to FreeBSD developers. The Foundation purchases hardware to improve and maintain FreeBSD infrastructure and publishes FreeBSD white papers and marketing material to promote, educate, and advocate for the FreeBSD Project. The Foundation also represents the FreeBSD Project in executing contracts, license agreements, and other legal arrangements that require a recognized legal entity. We founded Gamesofa in 2005. By utilizing the best emerging web technologies, we have been able to establish ourselves firmly in the gaming market, having since developed 20 franchises across multiple platforms including web, Android, and iOS. These games have cemented Gamesofa's reputation as one of Taiwan's leading game development companies. Our motto: "Fun in Five Minutes" reflects our company's core philosophy of providing a fun yet casual multiplayer experience. With "Godgame Mahjong," Gamesofa created Taiwan's largest online Mahjong game. Our success was soon followed by the world's first browser-based 3D shooter, "Guns Rush." More recently, Gamesofa has gone international, breaking into markets into Indonesia, Thailand, and Vietnam with localized Texas Hold'em apps, in India with "Bollywood Teen Patti," and in Russia with our 3D tank warfare game, "Tank Hit." Overall, Gamesofa boasts a user base of 50 million registered players worldwide and over 2 million daily active users. At Gamesofa, we pursue innovation at every level of game development, and we are adept at using advanced data analysis to drive our operational decisions. Through data analytics and predictive modeling, we can quickly visualize our products' performance and formulate powerful strategies to achieve the most optimal outcome in game development, operations, and marketing. Although Gamesofa is a young company, we have proven ourselves as effective, passionate, and capable of success in the ever-evolving world of gaming. Oath, a subsidiary of Verizon, is a values-led company committed to building brands people love. We reach over one billion people around the world with a dynamic house of 50+ media and technology brands including Yahoo. A global leader in digital and mobile, Oath is shaping the future of media. In Taiwan, we keep offering services under the name Yahoo Kimo and today own a number of properties including Yahoo TV, News, Mail, Search, Auction, Store, Shopping, Finance, Movies, Sports and Entertainment. Yahoo Kimo also provides a comprehensive suite of e-commerce services. For more information, visit the company’s corporate blog (http://ycorpblog.tumblr.com/). Ubiquiti Networks is founded in 2005 by young entrepreneur Robert Pera in Silicon Valley. The company's business is mainly focusing on the development in the area of wireless communication product and networking gear in order to provide advanced networking solution for enterprise-level and ISP customers. The products portfolio covers switch, router, wireless AP, VOIP, surveillance system etc. Ubiquiti Networks has been very successful with its unique company culture and business model. In Pera's view, he strongly believes that without extra cost in marketing and sales, building a solid engineering team is the most important thing to deliver projects rapidly to increase the revenue growth and profit of the company. Based on this model, besides hands-on expertise, engineers are also encouraged to interact with end-user and customer directly to understand their needs spontaneously and make them outstanding satisfaction. Our goal of products consists of not only the necessary functionality but also the world-class quality and overall user experience. Ubiquiti Networks is growing rapidly and expanding over the world, and we welcome you to join us for our continuous success. Skymizer Taiwan Inc. is a software optimization and performance solution provider. We believe humans' desire for speed can never be limited. Unfortunately, the development of performance improvement does. In the age of the fading of Moore's Law, we aim unleashing the potential of optimization of embedded development tools and extracting the performance of all cloud infrastructures. We specialized in profiling and compilation technology. We trace and identify the bottleneck of your software performance and deliver solutions, such as compilation cloud and optimized operating system, to your x86 and ARM based products. 5 times professionalism. 5 times wishes. 5 times Ruby. We are a group of Ruby lovers and aims for promoting Ruby programming language in Taiwan through education and consulting services. We’re asking companies for sponsorship to cover the costs of the conference so that we can keep attendee entrance fees low while covering the cost of the conference. Sponsorship will be used for speaker travel, to cover the cost of the venue as well as snacks and drinks during the breaks. The sponsor benefits include prominent mentioning during the open and close session , the conference website and on conference swag. Your flyers, folders and other promotional material will be included in the official event bag given to every attendee. Depending on your sponsoring tier you may also have a table and banner in the foyer representing your company, products and services. Companies that might not be able to afford the Bronze tier should contact us to ask about our the lower cost Partner tier. RISC-V is a new, completely open instruction set architecture from UC Berkeley, the birthplace of BSD. Berkeley has released a BSD-licensed processor implementation (Rocket), and they are building up a full software ecosystem for RISC-V. In this talk, I will describe the current status of FreeBSD on RISC-V -- as well as the larger RISC-V hardware and software ecosystem. Jonathan Anderson, Brian Kidney, George Neville-Neil, Arun Thomas, and Robert Watson. For more than a year we have been using DTrace as one of the three core components of a security research project, CADETS. Unlike earlier users of DTrace, which were focused on occasional, deep debugging sessions, the CADETS project uses DTrace to bring total system transparency to both the operating system and the applications that are running on top of it. The use of “always-on tracing” pushes the DTrace system up to, and often, past its limits and shows how some of the original design tradeoffs need to be revisited to address the needs of our project. Our talk covers our current efforts to extend and improve the DTrace framework in FreeBSD, including performance and programming improvements to address the needs of always-on tracing as well as integration with FreeBSD’s audit subsystem and the addition of machine-readable output for use by creators of downstream security-analysis tools. While poudrière is a tool designed to build and test packages for FreeBSD, it has been recently extended to be able to build custom images of FreeBSD, allowing to easily build applicances, custom ISO images, custom USB stick, custom virtual machine VM, FreeBSD based firmware. This talk will explain the story behind poudriere image, how it works, and how one could use it. Brooks Davis // Is it time to replace mmap? Since their introduction in the early 1980s, the mmap family of system calls (madvice, mprotect, munmap, etc) have become the dominant method for managing virtual address space in UNIX systems. Virtually all important programs and runtime environments have abandoned the older sbrk heap management interface. While mmap is serving us well, it has a number of shortcomings including weak support for mitigation technologies like W^X. In this talk I highlight the deficiencies of mmap and propose a new family of interfaces in hopes of providing a firm footing for the next 30 years of UNIX programmers. Johannes M Dieterich // High Performance Computing and GPU acceleration: Where Do We Stand? High Performance Computing (HPC) is the highly CPU-, memory-, I/O-, and communication-intensive use of resources for computational simulations. It is commonly employed in science and engineering. Today's HPC installations are rapidly approaching the exaflop barrier. The research conducted on them reaches from furthering our basic understanding of the universe, to designing and analyzing materials for tomorrow's products. FreeBSD does not have an extensive pedigree as a HPC system; however, its design is, maybe uniquely, fitting for HPC development. Hence, the project should attempt to attract more HPC developers, as this would open avenues for novel use cases and enlarge the pool of talent available to the project. More importantly, parts of the HPC stack of codes are dependencies of commonly used mainstream applications, such as media players or desktop environments. HPC technologies also disseminate and trickle down into tomorrow's technological mainstream. This fact logically implies that there are benefits to being early part of the technological development cycle. It allows us to shape it from the onset as opposed to laboriously porting results later and stripping out incompatible, OS-specific hacks on the fly. I want to convince fellow BSD developers and users that HPC is not just an exciting technological corner case, but instead has real-world, daily impact on most BSD installations. This talk will introduce the technologies that matter for HPC and their status within the FreeBSD project. We will discuss all important parts of the HPC tool chain in the context of FreeBSD's ecosystem and ports infrastructure. We will start with languages in HPC (Fortran, C/C++, and hybrids thereof) and compiler support (LLVM and GCC-based toolchains and their mixing), via parallelization and communication technologies (OpenMP, MPI) and fundamental numerical libraries (BLAS/LAPACK, FFTW) to end with the daily experience of porting HPC libraries and applications to FreeBSD and developing, maintaining, and optimizing them primarily there. Special emphasis will be given to one of the most disruptive technologies in HPC in the last decade: GPU acceleration. I will discuss which GPUs FreeBSD supports for acceleration and what the current possibilities and limitations are. An outlook to potential future development in this area under the umbrella of the linuxkpi-based DRM import project will be given. Finally, the talk will lay out what changes to the FreeBSD ports ecosystem would improve the experiences of HPC developers and users alike. The bhyve hypervisor in FreeBSD was initially targetted at server virtualization, with only an emulated serial console provided for direct user access to the system. While this satisfied the needs of a small user base, installation was difficult since it often required modification of installation media, and sometimes long and arcane procedures to bring the system to a point where alternate system access, such as SSH or RDP, could be enabled. Some guest operating systems did not allow any form of installation over a serial port. This barrier was enough to prevent many from wanting to use bhyve. To solve this issue, additional device emulations for a graphics adapter, keyboard and mouse were added to bhyve, along with a VNC server to provide access to these. This subsystem is collectively known as "bhyve graphics", and has greatly simplified the installation and use of many guest operating systems. This talk describes the motivation, design and implementation of bhyve graphics, along with some possible future directions. ZFS is an advanced filesystem, but that doesn't mean it is complicated or hard to understand. After an overview of the basics of what ZFS is and how it works, we'll delve into how to integrate ZFS into a system or product. - Create a checkpoint before upgrading an appliance, revert to checkpoint if upgrade is not completely successful. Checkpoints can undo things that a snapshot cannot, like renaming or destroying an entire filesystem. Techniques discussed will be of interest to most everyone, from users and developers for laptops and servers, to appliance manufacturers, and embedded products. thereby suggesting the practices of system administrators & users are responsible for keeping systems safe. But obviously programmers should keep improving the State of the Art. Theo de Raadt has 25 years experience selecting security features from papers/conversations, or designing them from scratch with his team. These "tweaks" are refined and injected into the vast OpenBSD ecosystem, enabled-by-default, thereby proving they are viable, and paving the way for other operating systems to adopt eventually. Stack protecter, ASLR, pervasive random use, W^X, Stackghost, privsep, fork+exec, and recently pledge -- let's see if there are some lessons in common about this area of work. FreeBSD port to RISC-V 64-bit Instruction Set Architecture (ISA) was added in January 2016. FreeBSD is the first operating system that officially supported RISC-V in the main repository. Since its introduction the support was evolved, RISC-V privileged architecture was updated few times. The platform becomes more and more mature and suitable for general and commercial usage, research and education. GCC v7.0 target for RISC-V was officialy upstreamed, NVIDIA is planning to ship all of their GPUs with RISC-V coprocessor enabled. Few companies announced RISC-V chips development start and many universities are taking RISC-V as a target architecture for doing research. The world first RISC-V microcontroller-class board HiFive1 was released and we are getting closer to the first general purpose board to become available! In my talk I will mainly describe the current status of FreeBSD/RISC-V, toolchain and simulators supported. And I will make short attention to the porting process itself, as well as describing the latest changes we had to make to FreeBSD in order to support the latest RISC-V privilege specification (v1.10). This includes enabling by default FDT support and drivers attachment change, SBI interface, compiler flags/built-in defines change, support for updated BBL boot loader, RISC-V privilege levels, initial page tables build, page table entry flags and other changes. As additional, I plan to make an overview of FreeBSD device drivers subsystem. This should answer the question: How to write device driver for FreeBSD/RISC-V? I will describe the device frameworks, buses and kernel-interfaces that exists in FreeBSD (e.g. Newbus, cdevsw, bus_dma, SYSINIT, vt, sound, ifnet, spibus, etc etc) and will try to answer the question how to use it, how to configure and how to debug device driver. Capsicum is a sandbox framework in the FreeBSD operating systems and it's based on the capabilities concept. Programs running in a sandbox don't have access to any global namespaces (such as lesytem or network namespace). Last year was very productive for Capsicum. More people got involved in the project and new interesting features were developed. However, most importantly a lot of applications from base systems were sandboxed. FreeBSD community was able to sandbox around 22 new applications re-cently, but it's still long way from sandboxing all of them. One of the thing we noticed during that process is a large chunk of code which we needed to rewrite multiple times in different programs. To simplify the use of this framework we introduced Capsicum helpers, a small C header of few inline functions which allows to reduce repeating parts of codes. One of very common thing is to limit standard output and input descriptors, this forces us to copy paste around 15 lines of code. As well as generic function caph_limit_stream which can limit any descriptor provided. All those function are limiting descriptor to the most common ioctl and capability rights. Capsicum helpers also provides a few functions which allows to cache some common used data. For example localtime need to read once /etc/localtime. If localtime function is called after entering sandbox then function will get bad time. The caph_cache_tzdata function was introduced to cache time zones les. One of the reasons of collecting such functions is also documenting for developers which things need to be cached before entering Capsicum. A very common problem of Capsicum is silent failures. When sandbox is added to an application, a developer cannot notice some conditions of program. For example if an application is using a library and this library is using random number generator by opening /dev/random if possible and otherwise use some insecure random generator. If a developer will not no-tice this behavior by analyzing the code this can lead to introducing new bugs while snadboxing application. One way is to use ktrace infrastructure but this also can be unnoticed by developer. Due to the new debugging feature for Capsicum which was implemented by Konstantin Belousov under FreeBSD foundation sponsorship. Enabling procctl(PROC_TRAPCAP) (per-process) or sysctl kern.trap_enocap (globally in the system) kernel will issue SIGTRAP to generate a core dump or enter the debugger incited of returning ENOTCAPABLE or ECAPMODE. Some sandboxed applications had very interesting stories, like dd. One of the problem we encountered was that dd is a build tool. Another one was the problem which overrating stderr descriptor. Case studies of sandboxing applications like that can be very educational for future developers. Despite being a relatively small fraction of the kernel by lines of code, the memory management subsystem of the FreeBSD kernel has a number of complex responsibilities. A non-exhaustive list includes: implementing the virtual memory abstraction for user-mode processes; gracefully handling memory shortages; providing a general-purpose memory allocator to other kernel subsystems (the kernel needs malloc() too! ); sharing physical memory with peripheral devices such as GPUs; and tight integration with file systems to provide interfaces such as mmap(2) and sendfile(2). If that wasn't enough, this subsystem must be efficient and ideally scales well to arbitrarily many CPU cores, and it should be able to take advantage of platform-specific hardware features that provide performance benefits. These constraints and requirements result in a level of intrinsic complexity that can make the code in sys/vm/ seem daunting to a newcomer. Please contact sponsor@bsdtw.org for sponsorship, or email contact@bsdtw.org for further assistance.